Little ones will learn to count from 1 to 5 in this holiday-themed concept book complete with sliding tabs to move back and forth! Santa has come back from delivering presents, but he accidentally left some behind! Children slide the baby reindeer tabs to help Santa get them out in time. There are five tabs, and each tab is embossed and illustrated with a Christmas reindeer, with a sleigh behind them that appears when all the reindeer are pushed over. 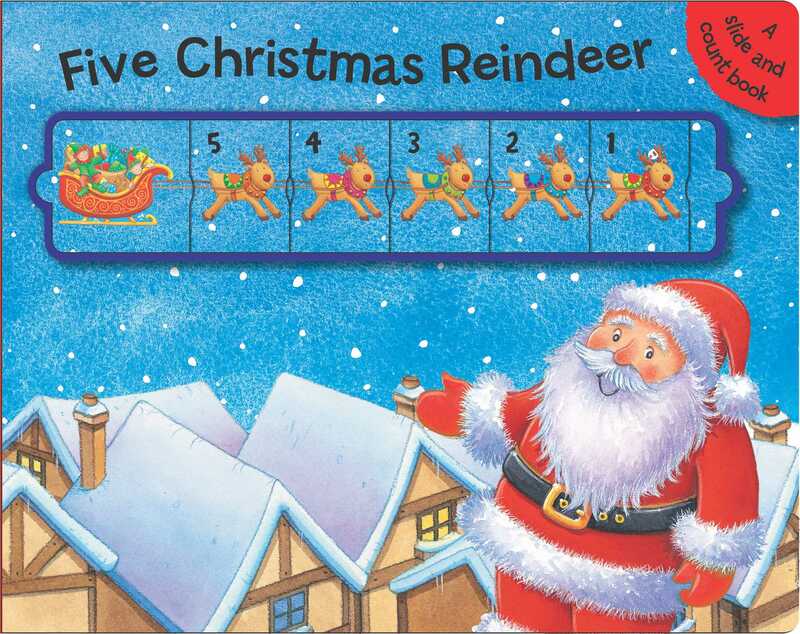 Kids will love sliding the reindeer back and forth to help Santa deliver presents in this fantastic first counting book!